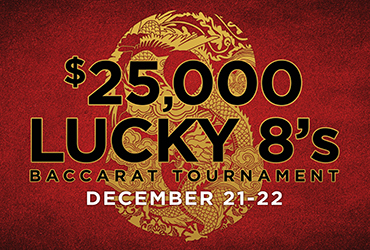 Play to earn your entry November 22 – December 21. $100 average bet at 20 hours OR $50 average bet at 40 hours gets you a spot in the tournament! See the pit for details. Must be 21. Management reserves all rights.